Despite recent confirmations from Ittihad of Alexandria chairman about his move to Pyramids, the Alexandrian club assured that Sabry Rahil will not move to Pyramids and will stay with the club. 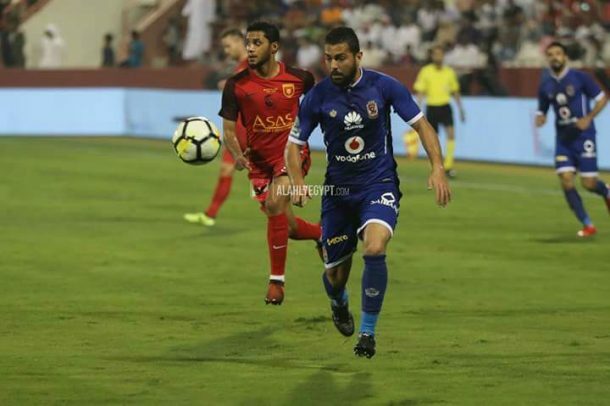 Rahil, who had been at Al Ahly since July 2013, has joined Ittihad of Alexandria on a two-and-a-half year deal after falling down the pecking order at the Reds. Two weeks after, Ittihad President, Mohamed Mesilhy, announced that Rahil will join Pyramids on loan until the end of the season, with Ahmed Tawfik heading the opposite direction on loan as well. However, the club’s football director Walid Salah El-din discussed the deal again and revealed that Rahil will stay in Alexandria and will not be loaned to Pyramids. “There was a change in the team’s plan for the January transfer window, especially in regarding our deal with Pyramids,” Salah El-din told Sada El Balad TV channel. “The deal was amended and Sabry Rahil will not move to Pyramids,” he added. 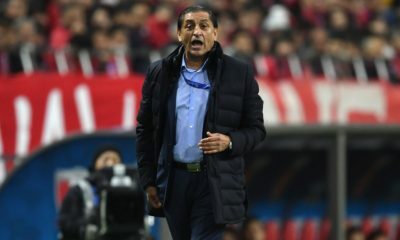 “This happened because Pyramids coach Hossam Hassan wants Ahmed Tawfik to return to his team after six months and not let him go permanently. I think it’s better for Rahil to stay at Ittihad, his chances to be in the main swuad is higher there.